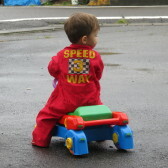 Fall times is fun times especially at the kindergarten I volunteer. The principal specifically made my English lesson coincide with yaki imo day, baked sweet potatoes. These are potatoes the kids planted grew and harvested themselves. 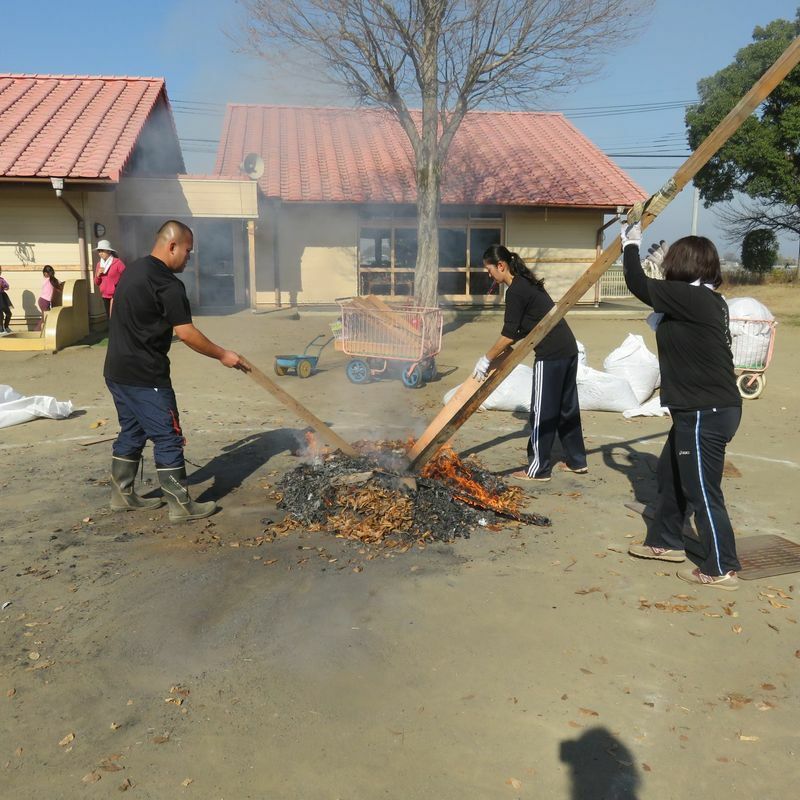 the teachers then prepped a bonfire and buried the potatoes in it. The potato was pretty nice with a very nice roasted taste to it. The kids waiting to eat it were adorable. They all sat lined up waiting for their tasty morsels in turn. It was like watching a litter of puppies. 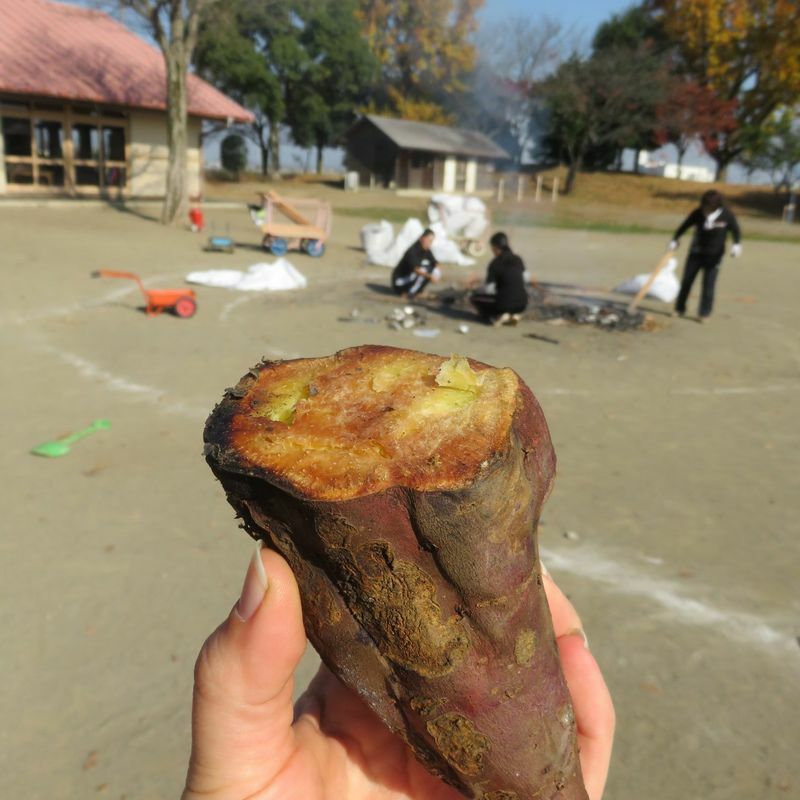 The teachers also got to enjoy a pile of sweet potatoes with their lunch after their hard work tending the fire and cutting up a giant mound of them.